November 16, 2017 By Elise Leave a Comment This post may contain affiliate links. Please read my disclosure policy for more info. A few years ago, my husband and I were going through some really tough times. Simply put, we didn’t have any money. We put scrambled eggs and salsa on homemade tortillas for dinner, because that was the cheapest meal we could come up with. And while living like that may be necessary for a short period of time, it can really wear you down after a while, and I came out the other side of that experience convinced that everyone needs the space to fund their own little “happy habits”. I’ve been reading my friend Kim’s new book Live. Save. Spend. Repeat. This week, and yesterday, I came to the chapter “Spending Without Regret”. In it Kim talks about having “Must-Have Happy Habits”, and it really spoke to me. It was the first time I’d ever seen a frugal, budgeting expert say hey, it’s okay to spend money on things just because it makes you happy. I mean, we’re talking about Starbucks-type stuff here. I don’t know about you, but I’ve never been told not to give up Starbucks. 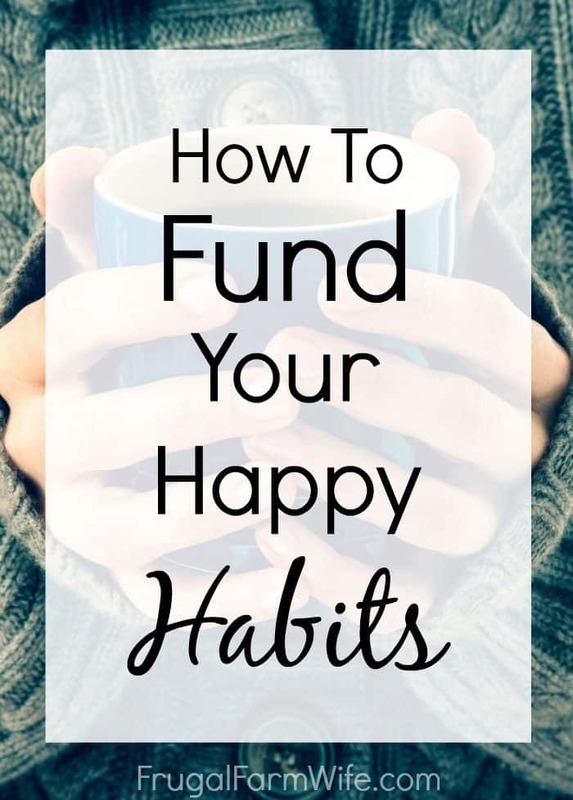 Whether it’s Starbucks or not, most of us have these little “happy habits”, and the key isn’t necessarily to give them up, but to get them under control, make sure we budget for them if necessary, and find ways to fund them that don’t make us feel guilty. One of my happy habits is spending gas money driving to scenic hiking places. Another one is trying new food at restaurants. Both can get pricey. But as Kim points out in her book, the feeling that you have to hoard all your money, never spending it on anything fun in order to reach your financial goals will just beat you down over time. It’s good to have fun! And there will always be some simple pleasures we don’t want to give up spending on. Indulge with reasonable frequency. 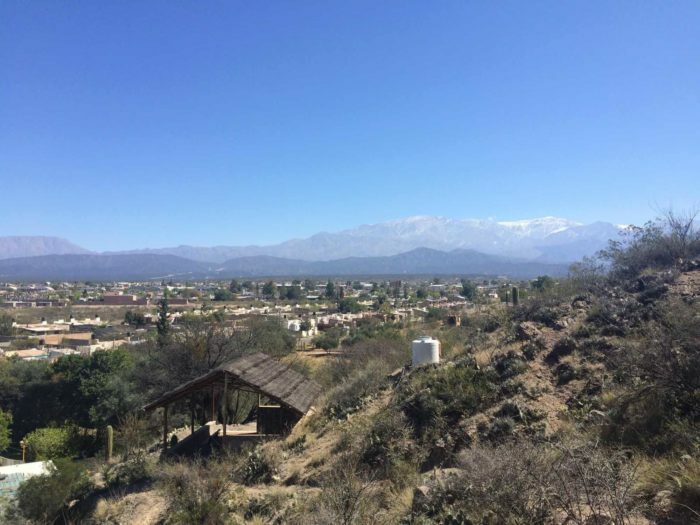 I’m not going to give up exploring God’s amazing earth, or tasting new things, but it’s only reasonable to keep the frequency with which I do things within our budget. Fund Your “Happy Habits” outside of your regular income. While I sometimes use money in our regular gas budget to go hiking, I virtually never spend money I’ve worked for on restaurants, choosing instead to use free gift cards. I primarily use Swagbucks to doing my internet searches, print coupons, and a few internet surveys to earn points (“Swagbucks”), which I cash in for gift cards. In the early days of my Swagging, I mostly cashed in for Amazon gift cards to help with our finances, but now that we’re in a more prosperous season of life, I tend toward iTunes and restaurant gift cards. Let the gift-givers in your life know what you want – whether it’s gift cards, or other ways to fund your “happy habit”. Bonus: They’ll be super happy you’re so easy to buy for! Cell phones, entertainment, groceries, and so many other expenses can be lowered by shopping smart. For instance, I switched from Verizon to Ting and now save an average of $10-15 a month on my phone. The bottom line is, find a way to fund the things that make you happy, so you can spend without feeling guilty.